It’s quiet today, and as I was straightening up from the festivities of the week (I promise I’ll write more about that later) and listening to Christmas music, I felt impressed to sit down and write a few of my thoughts about why this season means so much to me. I hope you don’t mind me sharing them with you. I love the emotion evoked from listening to the music of the season, I love the sights and smells (and sweets) during the month of December, and I especially love the time spent with family and friends during the holidays. When it comes to gifts and gift-giving, I smile when I watch the delight in our grandchildren’s eyes as they open their presents, and I’m gratified to know the gifts we give our children at Christmastime are appreciated. I want the gifts I give to friends and family to show I love them. And admittedly, I enjoy receiving thoughtful gifts from loved ones. The gift I love and don’t make the time to appreciate like I should is the one reason we celebrate this season—the gift of that special baby boy born so many years ago. I’m grateful for Jesus Christ and the many gifts He’s given me—the wonderful life He lived here on earth and the example He set for me to follow, the teachings He taught that I can read in scripture, and His ultimate sacrifice in atoning for my sins, to name only a few. These are the gifts that matter most this time of year—and all year long. The gifts I give pale in comparison, but I can give more and I can give better. One of the gifts I wish to give my Savior is a kinder heart toward others. It should be a simple gift but isn’t always, so I’ll start there for now. I hope you’ll find a quiet moment today to ponder what makes this season special to you and to maybe choose one more gift you can give that really matters. 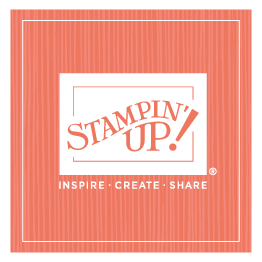 Stampin' Up!, the company I cofounded over 25 years ago, please click here. COPYRIGHT © 2016, SHELLI GARDNER. ARTWORK; COPYRIGHT STAMPIN' UP! ALL RIGHTS RESERVED. COPYRIGHT © 2017, SHELLI GARDNER. ARTWORK; COPYRIGHT STAMPIN' UP! ALL RIGHTS RESERVED.